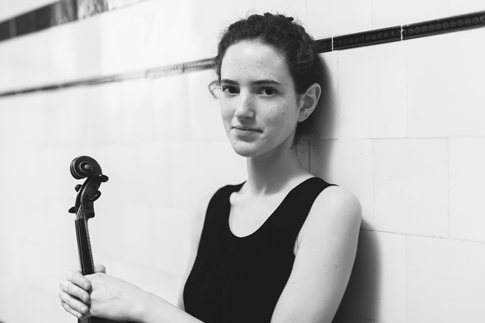 Canadian violinist Katya Poplyansky is currently pursuing her Artist Diploma at the Glenn Gould School, under the tutelage of Paul Kantor and Barry Shiffman. She completed her Masters of Performance at the Guildhall School of Music and Drama in 2016, with David Takeno, and her Bachelor of Music at the Curtis Institute of Music in 2014, with Shmuel Ashkenasi, Victor Danchenko, Ida Kavafian, and Joseph Silverstein. She has participated in music festivals such as the Festival Jong Talent Schiermonnikoog, Banff Master Class Program, IMS Prussia Cove, Sarasota Music Festival, Taos School of Music, and Music from Angel Fire. Recent solo performances include the Kurt Weill Concerto for violin and wind orchestra, under Joaquin Valdepeñas in November 2016. She received second prize at the Tunbridge Wells International Competition (UK) in April 2016. Katya is a grateful recipient of the Temerty Family Foundation Scholarships.